While going through one of my recent class of vCloud Director specially when was talking about vCloud Connector i got a question related to Hybrid Cloud Manager. I Answered the question and thought of dedicating a post in my blog related to the same. Q- How Hybrid Cloud Manager Differs from vCloud Connector? In other words what are the functionalities of vCloud Connector and Hybrid Cloud Manager. So let's start with vCloud Connector and then will try and understand Hybrid Cloud Manager. Available as appliance which is a Tomcat Server and has embedded Postrges database. Provides unified view across Private and Public cloud. UI is available with Browser Based Plugin for Web Client. Uses vCloud API to deal with Private and Public Cloud. Uses VIM API to deal with vCenter Server. Compatible with vCloud Air, vCloud Director. vCloud Air Hybrid Cloud Manager enables bidirectional virtual machine mobility and migration to the cloud and back. Can stretch multiple Layer 2 segments. Hybrid Cloud Manager service available as a virtual appliance and configured as a plug-in for the on-premises vCenter. Network extension, WAN optimization, Multi-tenant WAN with Intelligent Routing, and path fail-over. 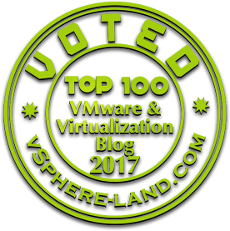 Join the vmware community and get updates on the latest technology trends from the top virtualization experts around the world.